One of the oldest flowers, the first picture of a lily was found in Crete around 1580 BC. The graceful, white flowers became a symbol of fertility of Christians and Pagans alike. Lilies are mentioned throughout The Bible in The Old and New Testament and found mentioned in many ancient books and societies. Still today in Greece, brides wear crowns made of lilies and wheat to represent purity and abundance. Although most cultures view the lily as purity, chastity and virtue, some civilizations use the lily as a symbol of purity in death. Placing lilies on the graves of children, saints and martyrs as a visual reminder of innocent death. Lilium longiflorum, or our Easter Lily is probably the best known lily. 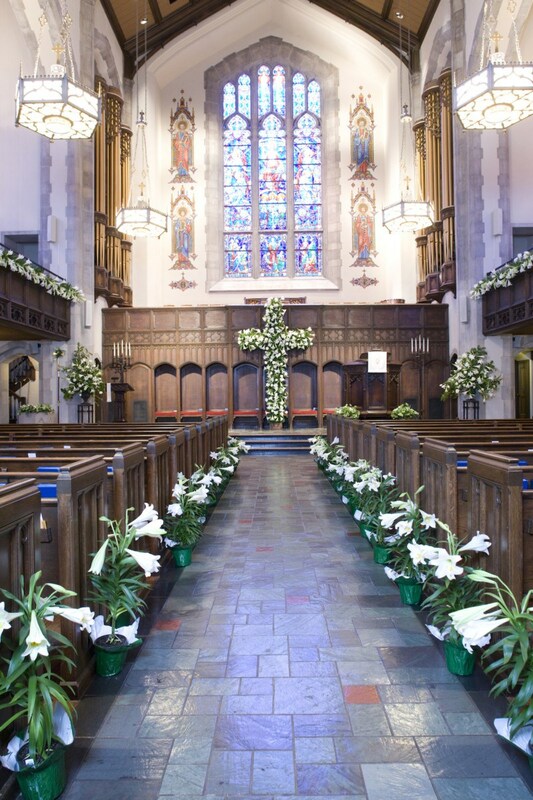 Churches adorn their altars and sanctuaries at Easter to symbolize the resurrection of Christ. The legend tell the story of lilies emerging where the drops of Christ's blood fell as he hung on the cross. Christians also associate the lily with the Virgin Mary as a symbol of her chastity and purity. Easter Lilies are native to Japan, and found their way to the US in 1919 with a World War I soldier who brought them home to share with fellow gardeners. Soldier Louis Houghton's home on the southern coast of Oregon proved to be the perfect growing climate. The flower's popularity grew quickly, but World War II made lilies scarce and expensive. That did not stop the demand for this lovely bloom and now over one thousand west coast growers produce bulbs for the commercial market. Despite a sales window of only approximately two weeks each year, Easter Lilies are the fourth largest potted plant crop in the U.S., ranking among poinsettias, mums, and azaleas as America’s favorite blooming plants.